Just buy the one song you want, not the entire album of fillers; don’t wait for the morning newspaper from your one source, get news streamed live 24/7 from many sources; grab a ride from many drivers scattered throughout the city, not just from the few driving bright yellow cars. Technology has disrupted the music and entertainment business, news outlets, the transportation industry and many other areas of our lives. But what about the building design, construction and FM industry? Are we still operating in that world like we just discovered the 56K modem? Let BIMStorms provide you the rapid path towards learning how people who design, build or manage buildings use the latest in technology to be the disrupter, and not the disrupted. 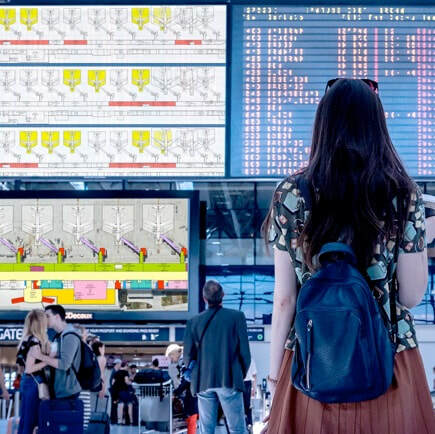 BIMStorms are award-winning, virtual collaboration events that teach, demonstrate and test the boundaries of technology and process for the building industry. Many are finding that disrupting an existing market can be the quickest way to the top. Hands on BIMStorm exercises will let you learn how to be an innovator. Owners are starting to share their project data enabling earlier and ongoing engagement enabling new value for the industry. The San Jose International International​ Airport is planning to expand in order to accommodate more international flights and larger aircraft. 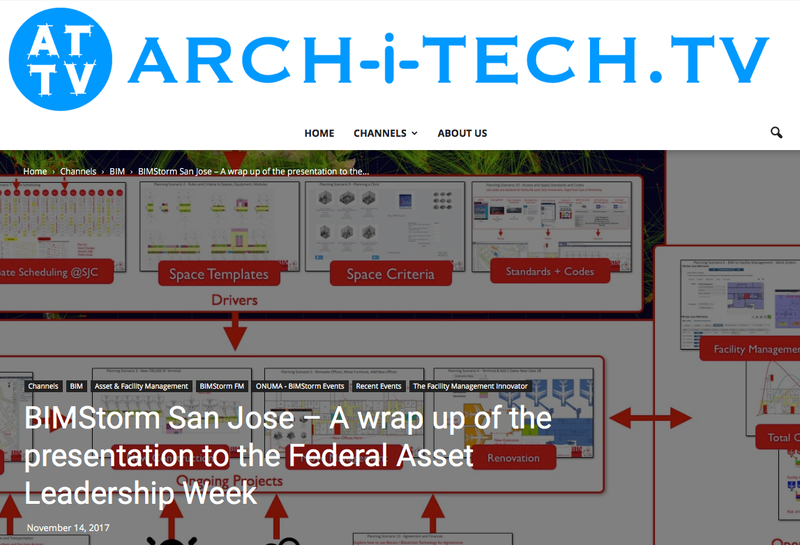 This exercise uses publicly available information and additional information, plans and data provided by San Jose Airport to show how contemporary tools and processes can be used to assist in expansion activities. This is not a comprehensive planning process, but a demonstration of how it is possible to meet expansion plans today. The scenarios are typical of real world challenges faced by owners of multiple asset categories but are specifically set up to make the exercise as real as possible while still remaining fictitious. Participate in one or all three exercises to learn how to collaborate in a BIMStorm. Many participants can work asynchronously or in real time during webinars and conferences. Input from each exercise can be evaluated and used in subsequent exercises. Provide Input in this simple online form of what are the most important assets for an airport to maintain operations. Results of this will drive decisions in step 2. 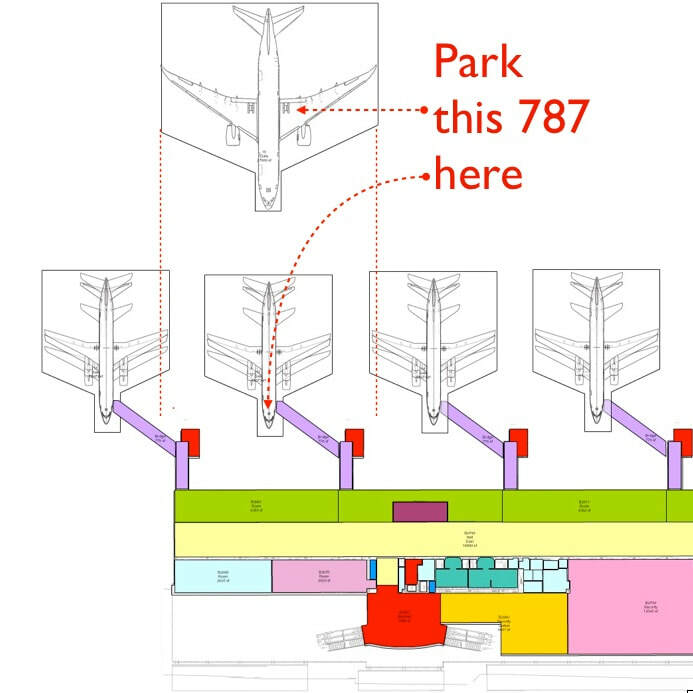 Define the requirements for future growth of gates and terminals for an airport. Results of this will drive design and construction into step 3. 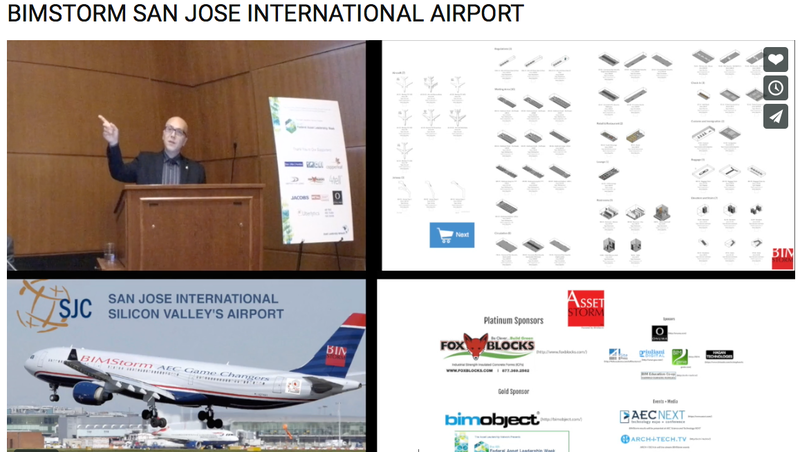 Design one gate of a new 10 gate terminal that is part of the San Jose Airport Master Plan. Driven from the parameters set up in step 2, a shopping cart of owner defined spaces and equipment will be used to layout the terminal. The BIMStorm San Jose Airport exercise is based on publicly available information and additional information, plans and data provided by San Jose Airport. 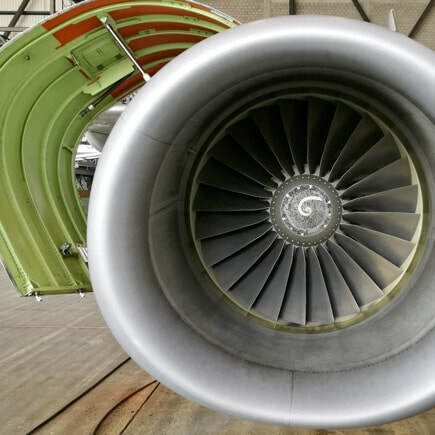 The scenarios are typical of real world challenges faced by owners of facilities but are specifically set up to make the exercise as real as possible while still remaining fictitious. ​It is free to participate in BIMStorms. By participating you agree that the input provided is intended to be shared to foster collaboration and a learning experience for all. The results will be presented at conferences, on the web and in publications.